Picture it: Christmastime 1997. Northwestern Tennessee dry freezing cold. It’s early evening and the house is busy with friends and family about to arrive. (Though why they were coming, I don’t remember why…) Karen and her husband David were still newlyweds, I was a teenager hanging out at their house for the weekend, and Emily was still a little girl. Christmas decorations were already perfectly decked out in Karen’s home, as she often has her halls decked out in October. Dinner was nearly ready and we felt like baking something, probably to show off our domestic skills as we were coming of age. We looked through the few recipes Karen had and came to a wall pretty quickly. The ingredients required were not already in Karen’s pantry. “But who needs a recipe, anyway?” was our thought and we just decided we had baked enough in our time on this planet and we could come up with something. Dinner was done, family and friends were in attendance, and we broke out our concoction. One problem: It was SO dense that it was hard to get out of the pan. Similar to pound cake, but even more… I’m not even going to pretend I have the word to use to describe this to you. It was just, odd. Once we got it on the plate, we drizzled it with the icing and it was served. Emily, being young and innocent, went along with Karen and I when we said how delicious this new dessert was upon tasting it. Everyone else in the room loved us so much that they couldn’t lie to us. It was terrible. There was not one single good thing about “WildIrby Akers”. Nothing. You could pick it up with a fork, turn it upside down, and a thick inch flake would fall off but the rest of it would not change at all. There was not enough liquid to drink to help you overcome the thirst it gave you. Emily even insisted we remove “Akers” from the name and never refer to it as that again. The thing I remember the most is Karen and Emily’s mom laughing, and our admitting that maybe it wasn’t so great, but we’d try again later that evening. We never did, however, because one of Karen and Emily’s cousins began vomiting and WildIrby’s taste took the blame. Sometimes in life we just jump into something because it feels right or the thing to do in that moment. We don’t look for a guideline or a plan. We don’t even ask someone else who might know better, or even God, what they think about the matter. We just dive in head first and expect a great outcome. Once in a while that works out, but most of the time it really doesn’t and the outcome is disappointment and failure. As Christians, we need to be aware of our decisions and the direction we are heading. 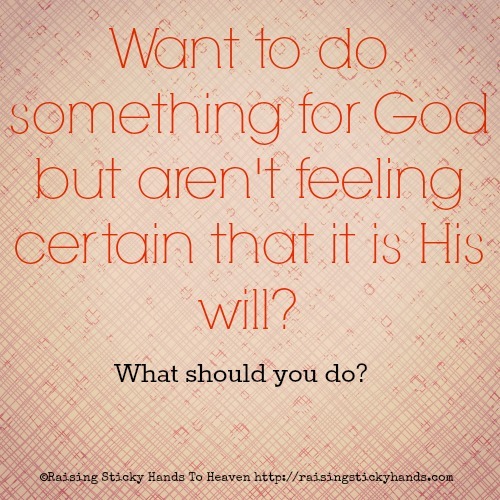 We need to ask the Lord what His plan is, where He wants us to be or go, and if what we are about to do is actually His Will. We need to go back to our Bibles and do some deep searching. I’m sure I’m not alone when I say that there has been a time or two (or 163) in my life that I said or did something just because it felt right or someone else I looked up to was doing that same thing as well. It’s not to say what I was doing was wrong, but it isn’t what God Will was for my life. He had something else for me, that fit better and was a lot more comfortable… But I just did what I felt should be done because, hey, I was in the mood. There were times that because of this, people were hurt. There were other times that no one knew any different, but in the long run I will never know what God had for me had I not just been going willy nilly about my life thinking “Oh, I’m doing the work of the Lord. This is so good. I’m so happy to be doing something for Him.” when it wasn’t what He wanted me to do. That’s pretty tough stuff to deal with, honestly. When Karen and I were writing down our recipe as we made it up so we could share it with the world, we thought we were doing a good thing. We didn’t know that it was (LITERALLY) going to make everyone who ate WildIrby sick. It didn’t mean that we weren’t great in the kitchen or couldn’t bake, because believe me, we can tear up a kitchen and make you not even care that you had to clean the mess up. It just wasn’t following the course that is intended for food to be edible. Had we followed a correct plan, we would have all had a great dessert and no one would probably even remember anything about that Saturday at her house. If you’re dealing with disappointment from a failure, or are considering an endeavor, and realize that you may have just baked up a batch of WildIrby, I want to give you hope. 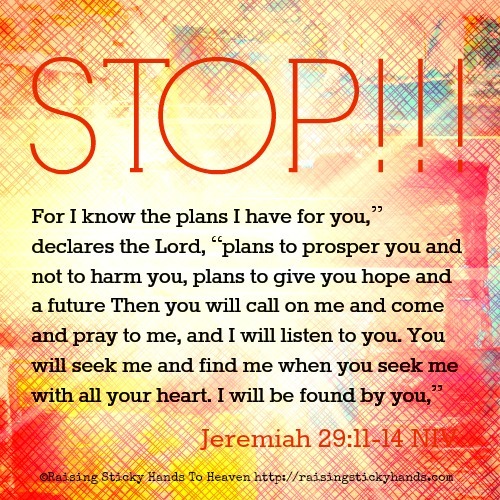 Jesus does have a plan for your life. His way is so much better than anything we can come up with. While you may feel like a loser or ashamed because what you thought was right really wasn’t the way to go at all, He has His hand out to pick you back up, dust you off, and send you down the way you are meant to go. I know, I really do, how hard it can be to feel like this must be it. Time to just give up and be one of those “every day Christians.” Do nothing but go to church when I can and that’s it. Guess what? There’s no such thing. Every single child of God has a calling and a purpose. Don’t just make a concoction of some sort and then top the mistake with an even worse icing of giving up. Scrap that cake-like substance into the trash can, get out your Bible, give God a call, and follow the recipe He has for you. He’s going to give you the directions that are just right and as long as everything is followed to a T, your life will turn out blessed and just as He intended it to be. I’m curious, when you aren’t sure if an idea is God’s or your’s, what do you personally do and how do you personally know for sure? Your answer might help someone, so I would really appreciate it if you would share. Thank you.